Let’s start back-to-school off right with a sleepover and some gross secrets. 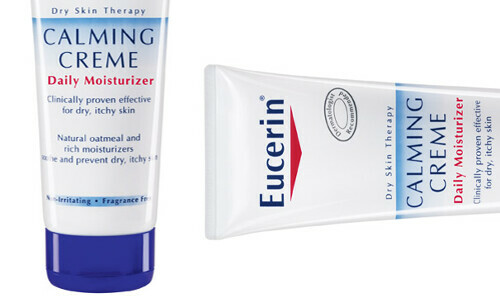 I think I discovered Eucerin Calming Creme because a certain someone in my house has a certain dry skin disease … but I co-opted it for myself and have been using it religiously ever since. It’s a ginormous tube full of one of the best lotion formulas out there - rich, but fast-absorbing and long-lasting. Feels like the perfect fine line between lotion and body butter. I don’t know about you guys, but when I’m in deep beauty prep mode, I plan sleepovers days in advance: hair conditioning, face treatment, body prep. Body lotion might not be first on your invite list, but this one is so great to slather on heavily a couple days in a row before bed. It really gets rid of the scalies. What? I said gross secrets. What are your overnight beauty treatment secrets?